BOAT ENTHUSIASTS DREAM! Boat access from your home and be out in the channel within minutes. 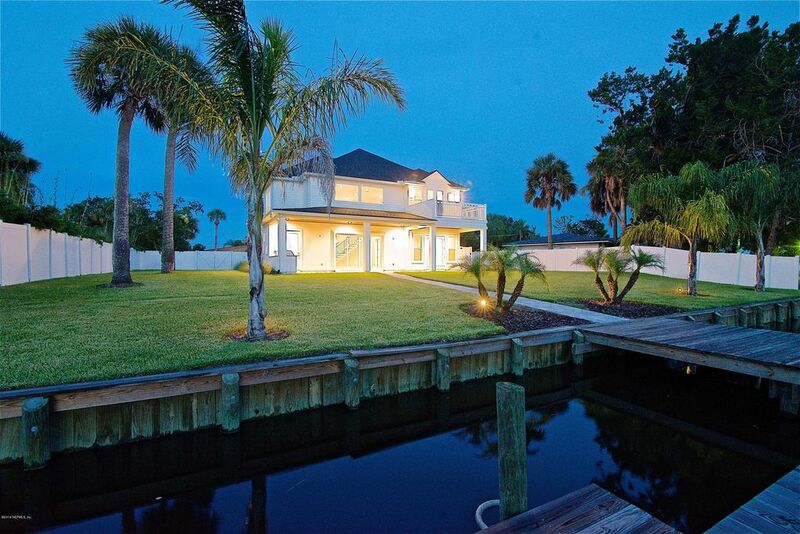 Luxury waterfront home on deep water canal features private dock and water views from every room. Dine on your 45ft covered lanai with Summer Kitchen and watch the sunset from the upstairs balcony. Soaring 20ft ceilings & 8ft doors are spectacular. 4BR plus office or 5th BR, loft and 4 baths. Master is located on main level, features HUGE closet & bath! Upstairs and downstairs laundry for convenince. Gourmet kitchen features 42'' cabinets with 18'' glass fronts, gorgeous one of a kind granite counters & island, 48'' Thermador refrigerator, 36'' stove with pot filler. For those larger gatherings, there's a butlers pantry, with a 2nd dishwasher & extra sink! Also 2 Garages that accommodate 3 cars. Directions: From Beach Blvd & I295; Go East on Beach Blvd, right on Royal Palm Dr. Home is located on the right.